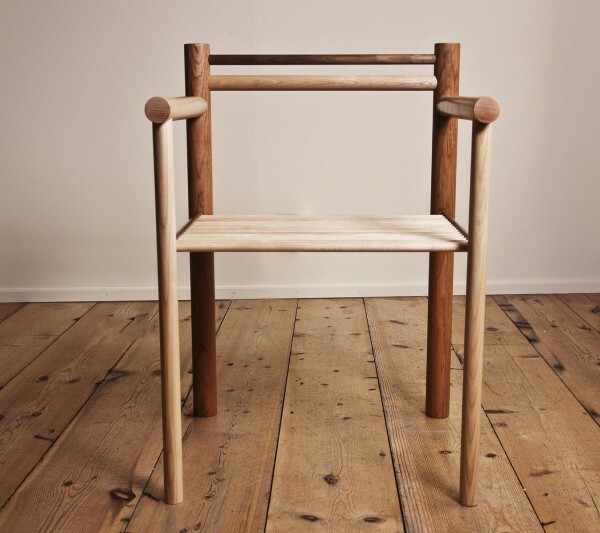 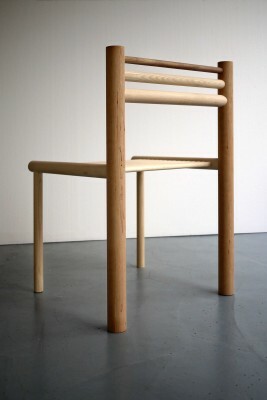 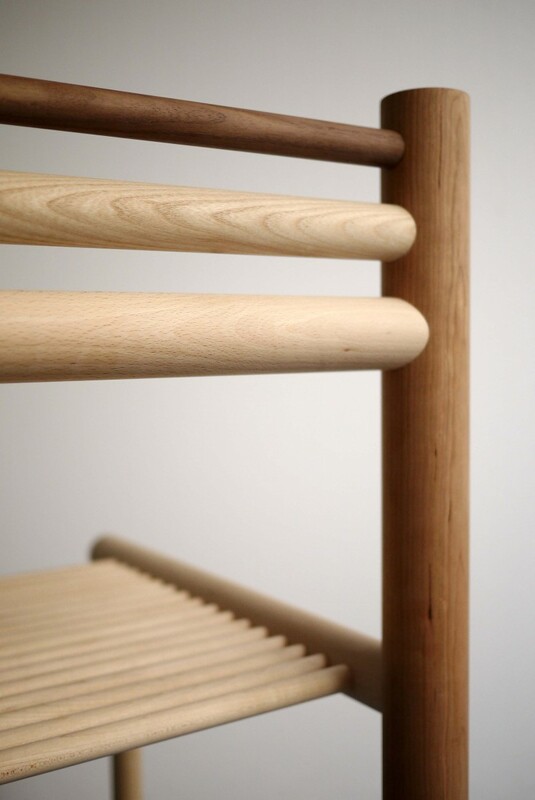 Woodware comprises a collection of seemingly utilitarian furniture made entirely out of standard diameter dowels in a variety of hard woods, including ash, maple, beech, cherry and oak. 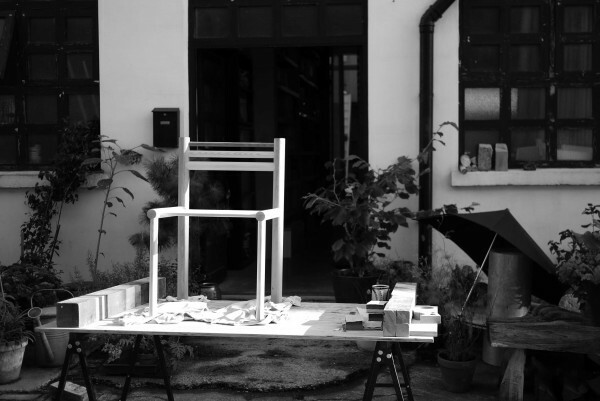 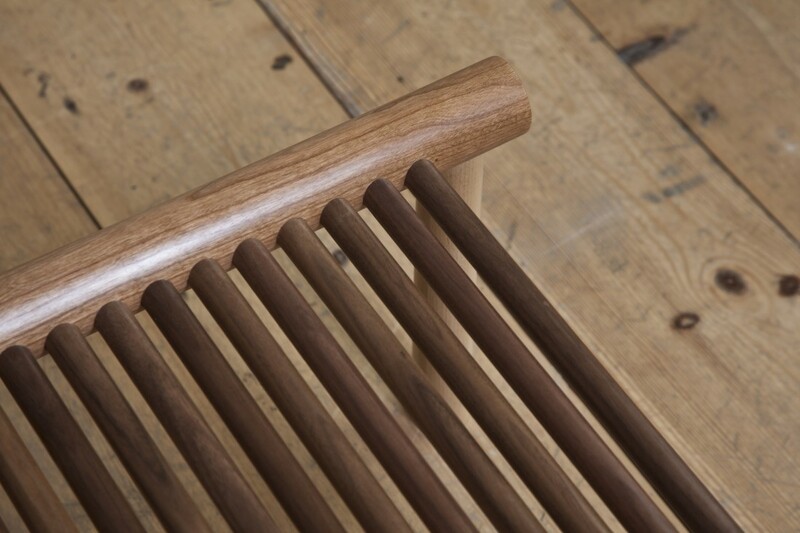 The collection comprises a lounge chair, dining chair, daybed, coffee table and console, all made in my London studio, but such is the simplicity and clarity of their design, they could also be recreated by other craftsmen or fabricators should production expand. 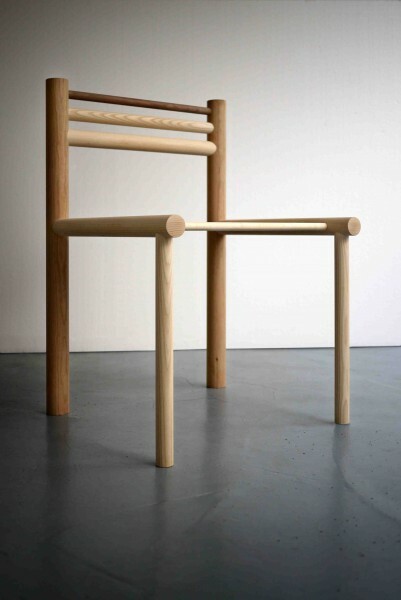 I designed a formula for constructing the furniture using dowels of varying diameter and exploring the way they interconnect in a simple, efficient manner. 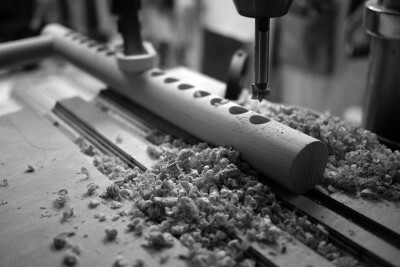 All holes are drilled with a forstner cutter perpendicular to the dowel but, being round, offer natural pivots for an angled seat or back-rest. 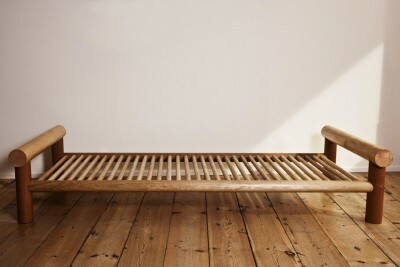 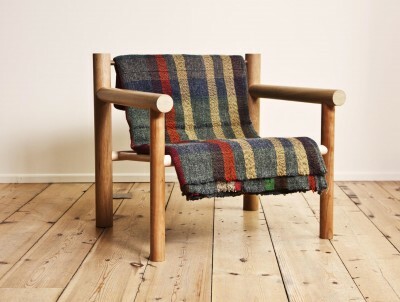 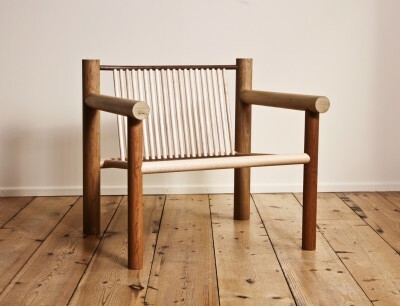 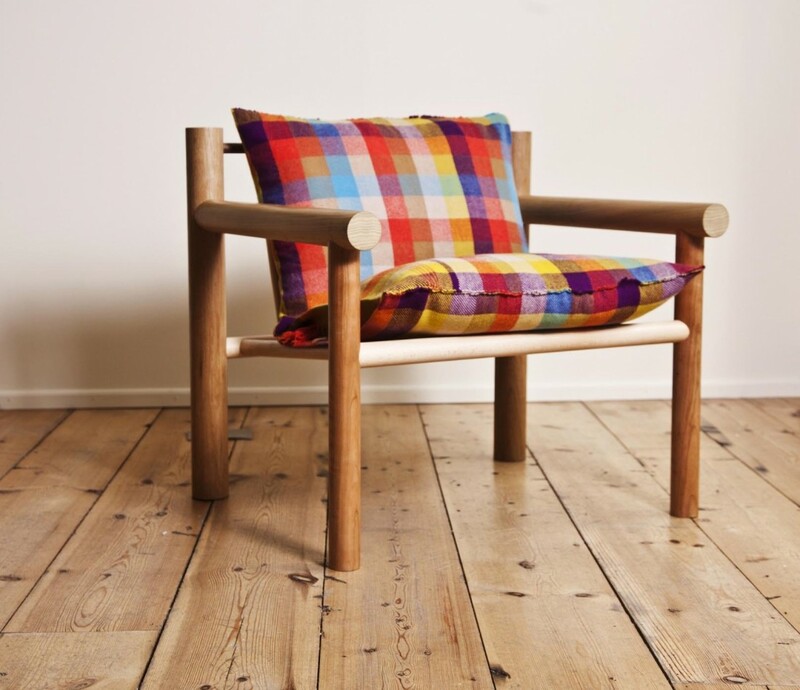 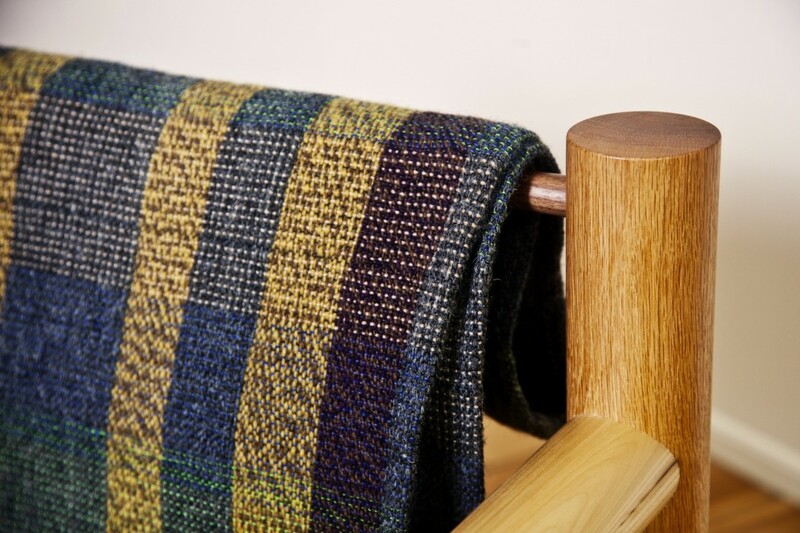 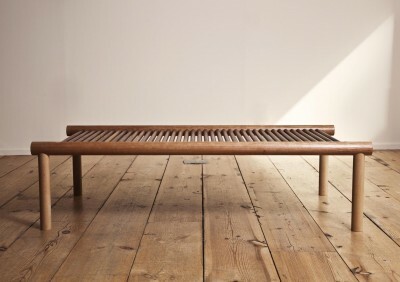 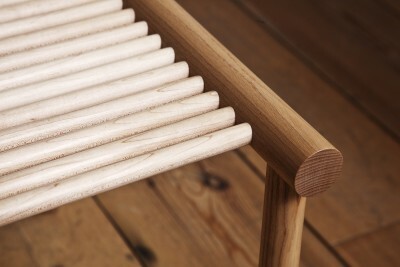 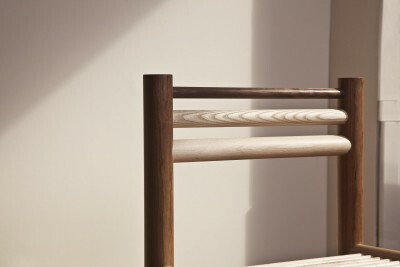 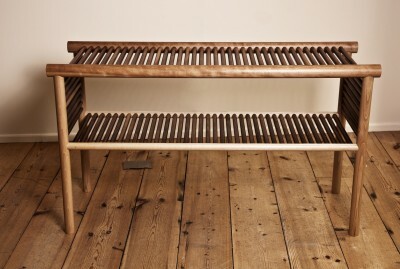 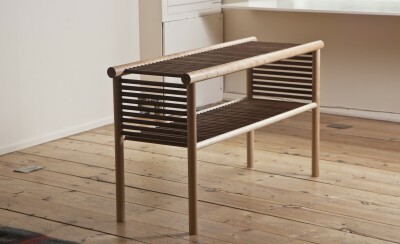 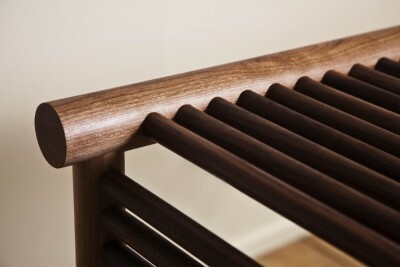 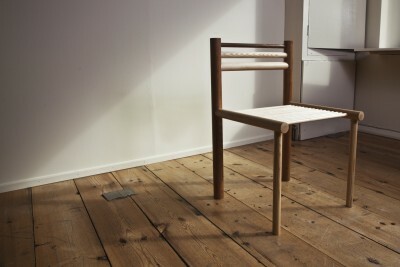 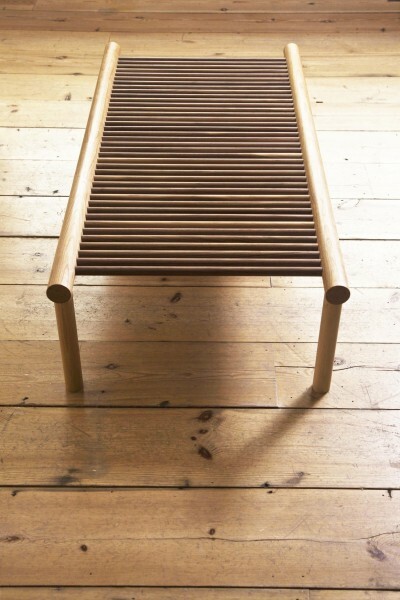 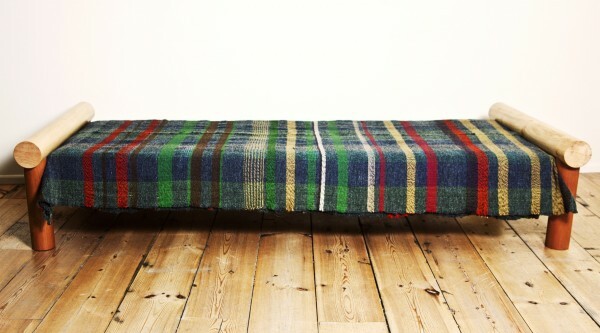 Woodware is a nod to the long-standing tradition of British furniture, such as ladder- and spindle-back chairs and the simple rod-constructed shelving that has served in the country’s houses for centuries, while also reflecting more contemporary preoccupations of lightness, both physically and aesthetically. 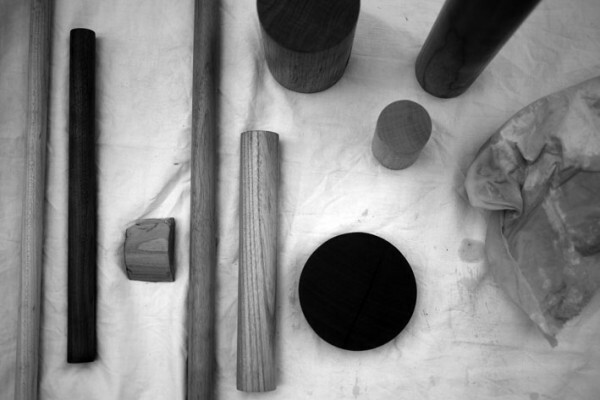 The use of different wood types is a reference to how the ends of commercially produced dowels are painted different colours for easy identification. 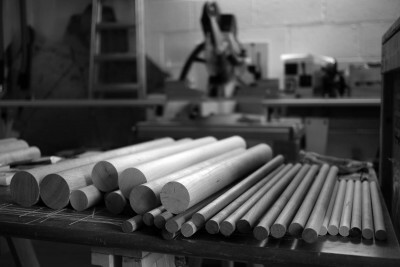 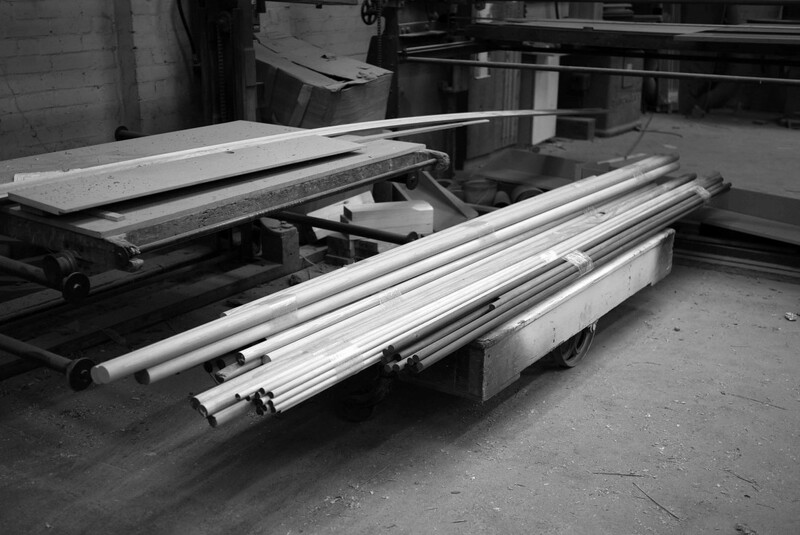 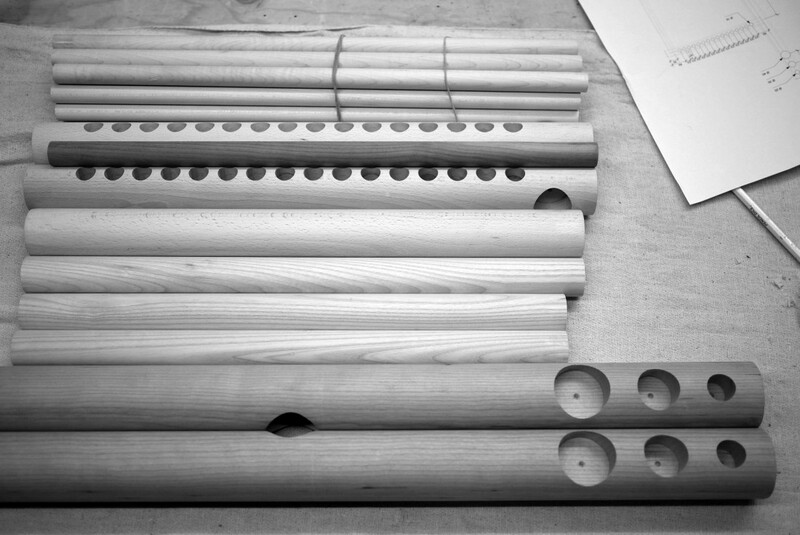 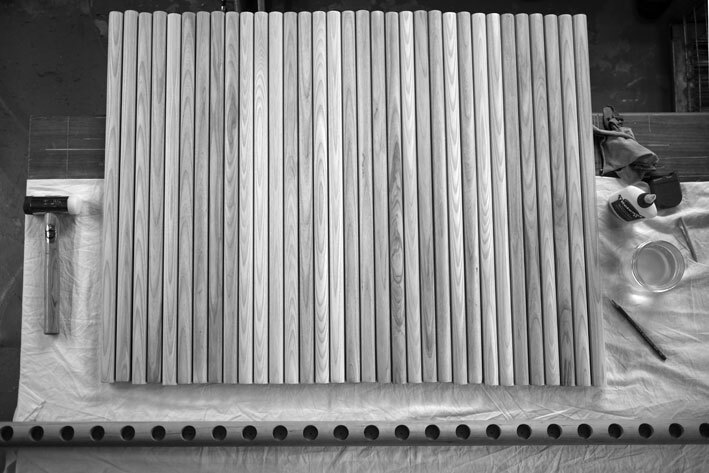 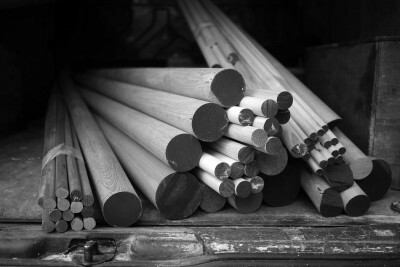 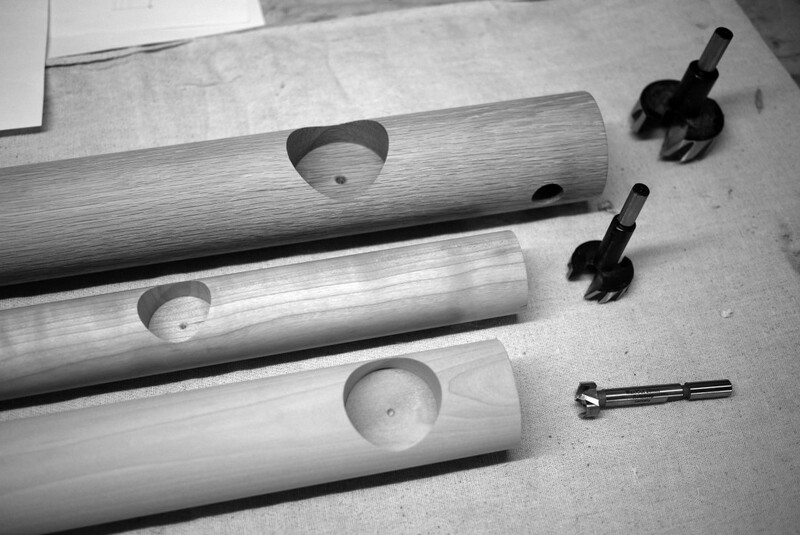 Each size of dowel used in Woodware is cut from a different species of wood — there are eight in total, from 16mm maple to 110mm lime. 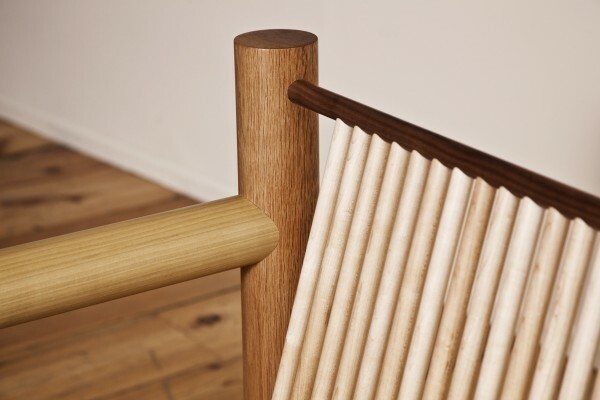 The resulting pieces are physically and visually light, their density, both real and visual, dramatically reduced by the small amount of material necessary for their construction. 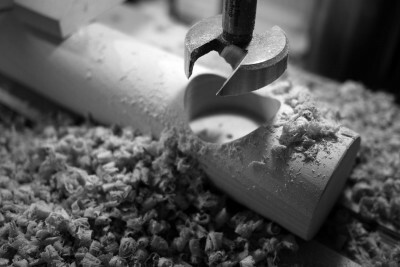 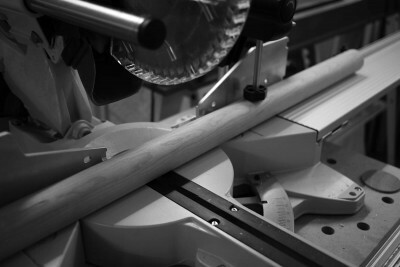 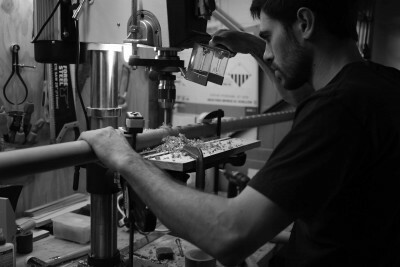 Woodware is designed to be produced as an edition limited not by numbers, but by the time-honoured skills inherent to working with wood by hand. 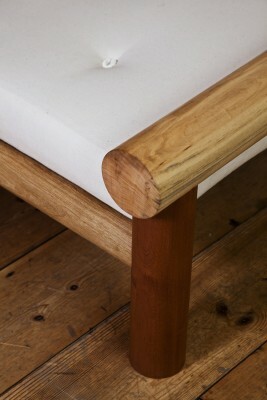 Adopting Bernard Leach’s approach to making good quality ceramic tableware, known as Standard Ware, my Woodware collection is intended to be affordable and function well within the home, while offering the warmth of hand-crafted furniture made by me in my London studio.